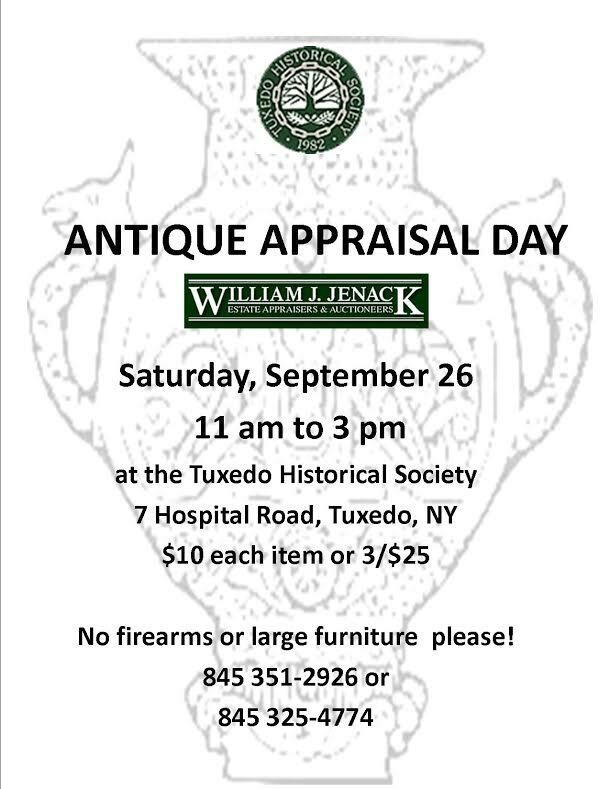 On Saturday, September 26th, the Tuxedo Historical Society is hosting auctioneers from William Jenack where you can get your antique items appraised by a professional! 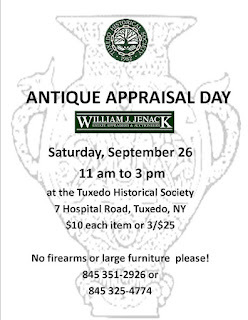 For just $10 per item (or $25 for three) - and all proceeds go to supporting the Tuxedo Historical Society - you can find out what you'll get for your valuable antique. Please call 351-2926 for details.